ARLINGTON, Va; March 25, 2019 – U.S. state governments face growing challenges attracting, building and retaining critically important talent and workforce skills, according to new research from the National Association of State Chief Administrators (NASCA) in collaboration with Accenture (NYSE: ACN) and NEOGOV. Based on surveys of chief administrators and human resource (HR) directors in 33 states, a survey of nearly 3,000 state-government job seekers,and analyses of over 14,000,000 public sector job postings, the research — published today in a report titledJob One: Reimagine Today's State Government Workforce — shows a widening gap between the number of open jobs and the number of applicants but also highlights strategies to help reverse the trend. According to the research, chief administrators and HR directors find “difficulty attracting new employees” as the top workforce management challenge. When respondents were asked which trends have the greatest impact on their workforce strategy, nearly two-thirds (64 percent) of state administrators cited the growing skills gap, indicating that recruiting the best talent, with the right skills, is a top issue for these leaders in state governments. 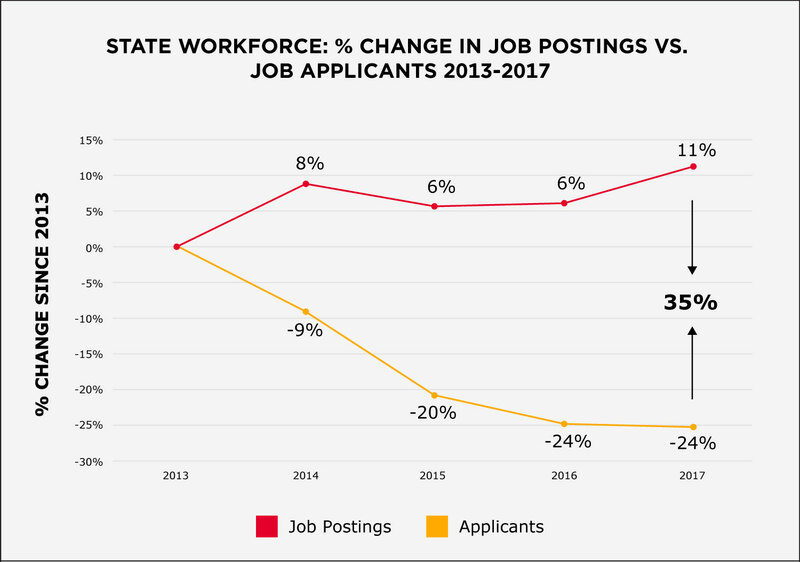 The research also identified several factors widening the gap between the number of state job openings and applicants for those positions. Key factors included changes in workforce expectations, especially the reduced appeal of “lifetime employment” among younger generations, less-competitive salaries, rising competition from the private sector, and negative perceptions about working for government. Reshaping recruiting – rethink job descriptions, emphasize training, and improve the branding for public service. Transforming the employee experience – improve onboarding, automate recruiting, modernize performance evaluations, and get serious about succession planning. Accenture and NASCA surveyed state chief administrators and human resource directors in 33 states from August to October 2018. The survey included questions aligned with Accenture’s “Reworking the Revolution” research, enabling comparison between state-government and private-sector leaders. NEOGOV surveyed 2,959 state-government job seekers in September and October 2018 and analyzed recruitment data of over 14,000,000 applicants from 27 state agencies spanning 2013 to 2017. Founded in 1976, the National Association of State Chief Administrators (NASCA), is a nonprofit, 501(c)3 association representing state chief administrators—public officials in charge of departments that provide support services to other state agencies. NASCA provides a forum to exchange information and learn new ideas from each other and private partners. NASCA’s mission is to help state chief administrators and their teams strategically transform state government operations through the power of shared knowledge and thought leadership. More information at www.nasca.org. NEOGOV is the leading provider of an integrated HR, payroll, and talent management solution for the public sector. NEOGOV customers report increased employee productivity and engagement, time and cost savings, improved regulatory requirement compliance, and reduced paper processes, with a net result of better services for citizens. 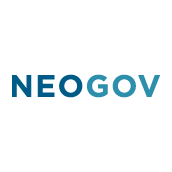 Serving over 6,000 organizations, NEOGOV supports organizations with intelligent HR for the public sector. More information at www.neogov.com. Download the report: Job One: Reimagine Today's State Government Workforce.